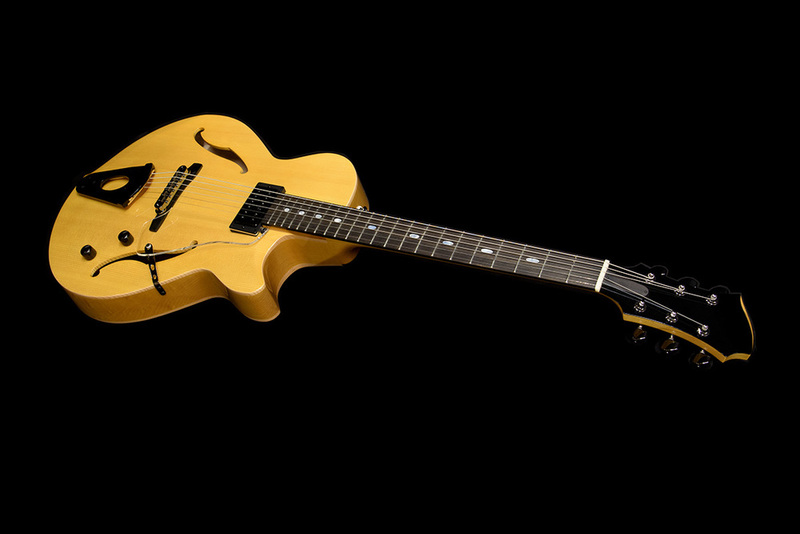 Westville Solar is a very unique full hollow guitar which is completely made of solid carved wood. It has solid carved Sitka Spruce top and solid carved Hard Maple back and also solid carved (routed) Hard Maple side rim. The side rim is routed from 2" thick two piece Hard Maple plate with an end block part. And a tailpiece is mounted on the end block part with a Hard Maple spacer through the body top. The Solar has responsive and powerful sound with beautiful overtone and quite long sustain with its enough rigidity. It provides players many new ideas and possibilities for exploring their music.